Please find below some examples of winning solutions from various segments that demonstrate the diverse demands made on our belting products. 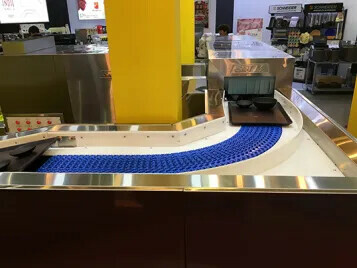 These challenges could include the multipurpose processing belt to the specialist precision belt, from horizontal, inclined or curved conveying applications, belts running in parallel or those designed for a special purpose. 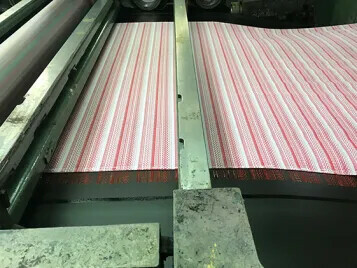 The only important thing is: our belting product provided the solution. Vimek is an OEM located in the north of Italy which has 20 years of experience in manufacturing bakery lines including spirals, ovens, mixers, conveyors, etc. for the Italian, European and USA market. 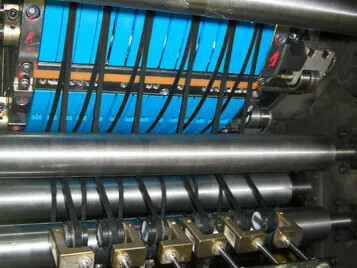 A rather small Italian OEM highly specialized in the design and building of machines for yarn manufacturing, in particular twisting machines. In over 40 years as a family-run business, Stein Automation GmbH has been focusing on assembly transfer systems. The systems stand apart because they are modular, compact and absolutely reliable. 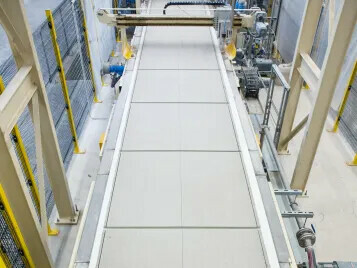 Since 1983 CIPAB specializes in engineering and producing stainless steel production lines including conveyors and washing machines for the food industry. CIPAB is constantly focused on developing innovative solutions to meet customer demands. BRIOCHE PASQUIER is a French family-owned company that processes agricultural products to manufacture and market industrial pastries. 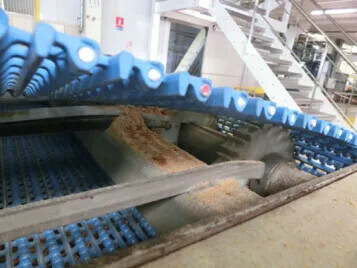 The Andrezieux facility which this winning solution is focused on specializes in the manufacturing of toasted breads. 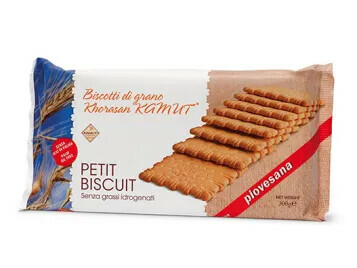 Piovesana has been producing sweet biscuits and salty crackers for more than 90 years, mainly for the Italian market. They are committed to high quality products and have been a Forbo customer for several years. 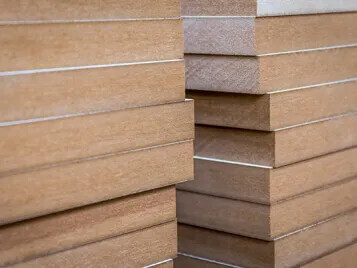 A leading European company in the wood-based-products industry with several plants in Germany and other European countries. 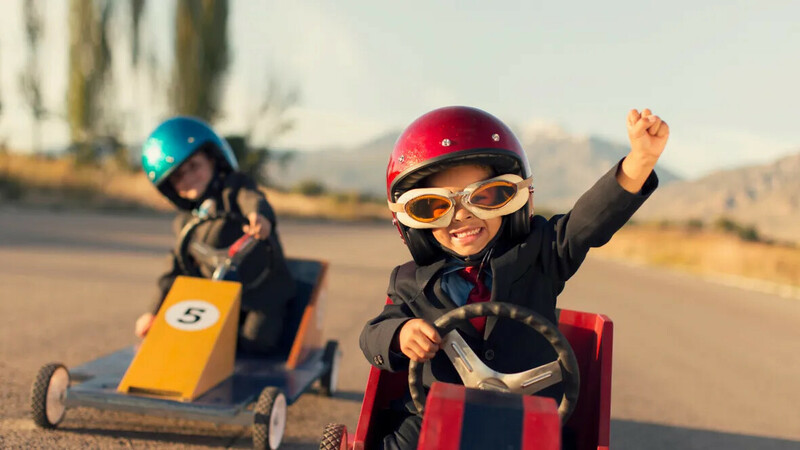 Target groups are both architects and tradespeople from the construction industry, as well as industrial customers in the building materials and furniture manufacturing industries plus retailers. AMB-RotoTech GmbH from Eitting is a printing machinery service provider in Germany and neighboring countries. The company is subdivided into two business segments, PSS (Print Service Solutions) and TBS (Transport Belting Service). The customer is a manufacturer of intralogistics solutions and systems in the warehousing logistics and warehousing automation segment. 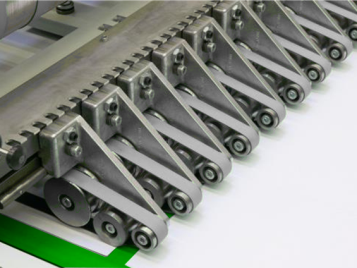 Its product range comprises warehousing systems and technology such as live-roller conveyors. 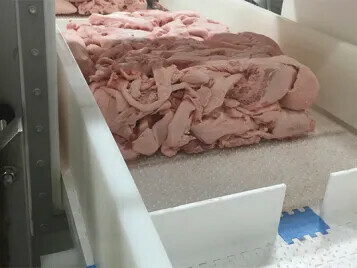 A poultry processing facility in North Carolina making bone-in, deboned, whole and portioned poultry products. Founded in 1896, Rodolfi Mansueto S.p.A. is one of the oldest Italian industries producing chopped and crushed tomatoes, tomato paste, sauces, passata and tomato powder out of red, fresh, sound and natural tomatoes. The Indonesian government is working to increase the share of renewable energies in the electricity mix in order to cope with the rapidly growing electricity consumption. At present, the share of renewables in the electricity mix is 5-6%. An increase to 19% is planned by 2019 and 25% by 2025. 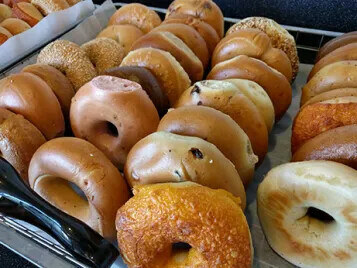 The California based bakery produces frozen bagels for hundreds of smaller café stores located in malls, airports and neighborhoods across the globe. This plant has been in operation since the early 90’s. The featured company is a renowned German manufacturer of fine paper. Its core competencies are paper manufacturing and paper processing of wood-free coated and uncoated fine paper. 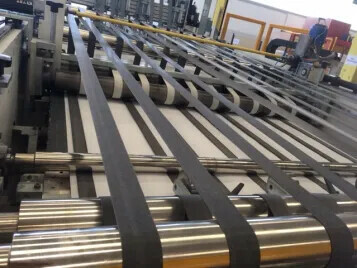 This ‘Winning Solution’ shows how Siegling Extremultus flat belts help to ensure highest performance and long service life in cross-/ size-cutters. Century Pulp and Paper (CPP) is a producer of excellent quality writing and printing paper, and a leading manufacturer of tissue and board, as well as Rayon Grade Pulp (RGP) products in India. 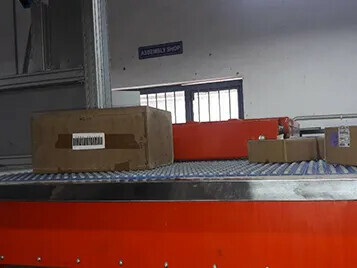 Falcon Autotech is an Indian OEM that provides intralogistics and warehouse automation solutions. 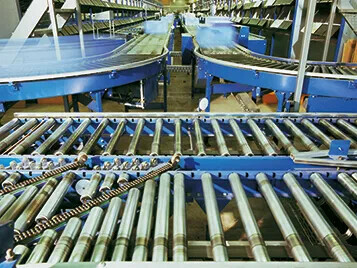 They manufacture various types of machines for the logistics industry, including sorters, dimension- and weight-scanning systems plus check weighers, etc. 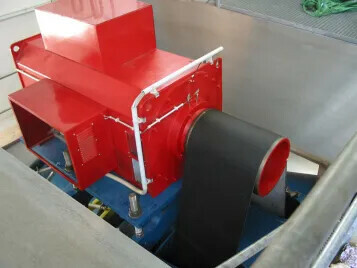 In business since 1965, Hilliard's Chocolate Systems is one of the major suppliers of chocolate machinery equipment for the retail candy business. Milltex is located in Ronco Campo Canneto in Parma and is developed on an area of 15500 square meters, of which 4,500 are indoor facilities. The company has 20 employees. 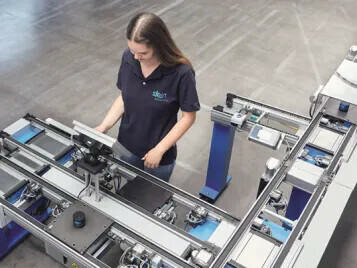 Milltex creates assemblies of all its equipment in its facilities. 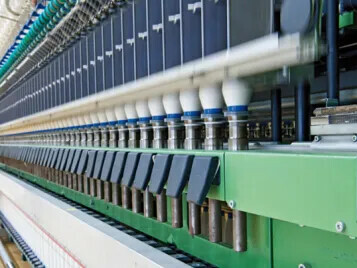 Since 1940, Jong Stit Co. Ltd (Thailand) have grown their business rapidly in the textile industry and kept a market leader position in Thailand. 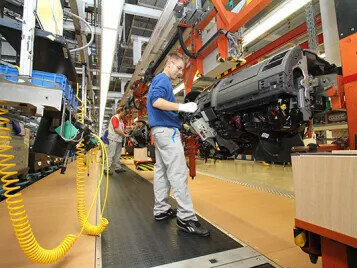 HM Heizkörper in Dingelstädt (Germany) is one of the world’s leading manufacturers of radiators and sells more than half a million of them per year. Shinjin Master Co., Ltd.’s headquarters are located in Seoul. 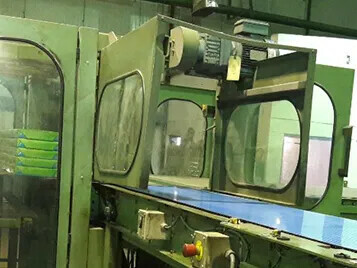 The company also has its own factory in Gimpo and produces all types of equipment and dishwasher systems. 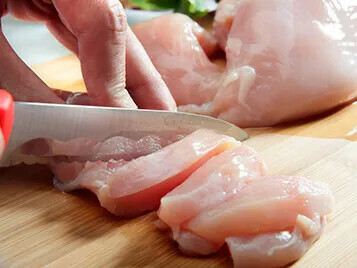 Their market is the foodservice market such as marts, hospitals, hotels and canteens etc. National Gypsum is one of the largest gypsum board producers in the world. Headquartered in Charlotte, NC, the company is a full-line supplier, recognized in the industry for customer service and product quality. 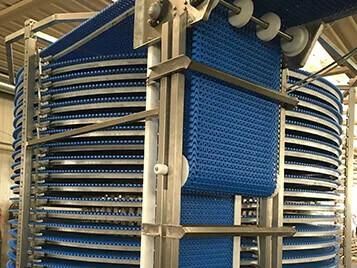 Gypsum board is the company's primary product. ConAgra Brands is an approximately $8 billion company that combines a rich heritage of making great food with a sharpened focus and entrepreneurial spirit. They are modernizing their iconic food brands, leveraging fresh opportunities and adapting to a changing landscape – all with a culture that’s ready to capture growth and drive shareholder value. Knauf is a synonym in many countries for gypsum, a material with fascinating characteristics. Gypsum and gypsum-related products and insulating materials are made and sold by Knauf. Since 2016 Forbo’s cooperation with Knauf was joined by a new field: the gypsum fiberboards. Hohmeier Anlagenbau GmbH is an SME (small and medium-size enterprises), headquartered in Stadthagen, Germany and part of the Minda Group. Hohmeier offers customized solutions for the automotive industry, general conveying and the customized mechanical engineering segments.